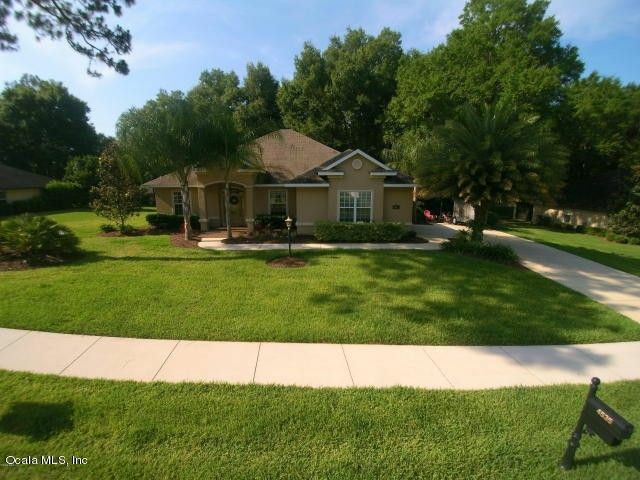 Beautiful 4 bedroom Pool home in popular SE gated Magnolia Grove, with tons of upgrades. Enter into the home and feel the warmth. The Parlor greets you on the left! Your formal dinning room will access the large kitchen complete with Granite Counters, JENAIR refrigerator, large bowl sink with Instahot dispenser & wood cabinets. The Pantry and all bedroom closets are ''ClosetMaid'' upgrades. 2 large custom Built-in entertainment/Book shelves are in the spacious family room. Large Master has trey ceiling & en suite Bathroom. Room opens to covered lanai wired for TV. The Salt System Pool is heated with heat pump and Solar. 2 kids bedrooms have Jack & Jill Bathroom. Guest BR next to full bathroom. The garage has Multisuire Gray powder coated cabinets & lots of other storage. Much more to see. Directions: Entrance to Magnolia's. The Gove is on the left. Turn right once through the gate and 1st left on 34th Place. Home on left.